More stations being added daily. This fall, join us at over 40 Celebration Stations set up across Metro Vancouver for free drinks, snacks, bike maintenance, maps, prize draws, and more! Stop by to enjoy Starbucks coffee, Macro bars, and bike maintenance from South Delta Bikes. We'll also have the TransLink bus-bike-rack for you to try out! Enter to win an Abus folding lock from HLC and Denman Bikes! HUB MEMBERSHIPS AVAILABLE HERE: Purchase or renew your HUB Membership at this station and get a free gift! Stop by for GoMacro bars, sesame snacks from Hippie Snacks, coffee from Starbucks, bike maintenance from Comor Sports, and a chance to win a $100 gift card to TUC. Stop by to enjoy GoMacro bars, drinks, and some bike maintenance from OHM Cycles. Enter for a chance to win a $100 gift pack from LUSH! 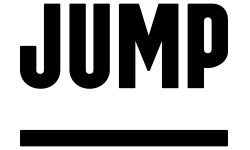 Stop by to enjoy sesame snacks from Hippie Snacks, GoMacro bars, and some bike maintenance from Kickstand. Enter for a chance to win a one year Mobi by Shaw Go pass and a Formo Frame Bag from OnSight Equipment! Stop by to enjoy GoMacro bars, Clif Bars, and bike maintenance from Trek Burnaby. We'll also have the TransLink bus-bike-rack for you to try out! Enter to win a Knog prize pack (lock and totebag) plus $75 to Sport Chek! Stop by for snacks from Breka, coffee from Ethical Bean, and some free Lush goodies! Join Kit and Ace as we celebrate Bike To Work Week with LIV Vancouver! We have your commute covered with complimentary tune ups, snacks and beverages from a few of our favourite local Vancouver partners and great conversation - always on the house. Each day you will also have a chance to win a pair of Kit and Ace’s bike approved trousers perfect for your commute (valued at $160). Come say hi, we look forward to meeting you! Community station hosted by Landyachtz at 1146 Union St.
Stop by for free snacks, coffee, and bike maintenance! Stop by for snacks and coffee from Musette and bike maintenance from Brodie Bicycles. Sponsored by the City of Burnaby. Stop by to enjoy snacks from Clif Bar, Ethical Bean coffee, and some bike maintenance from Mactalla Cycles. Enter for a chance to win an ABUS folding lock from HLC and Denman Bikes! 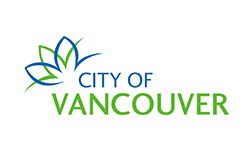 Sponsored by City of Vancouver. Stop by to enjoy sesame snacks from Hippie Snacks, coffee from JJ Bean, and bike maintenance from Bicycle Sports Pacific. Enter for a chance to win three passes to SoulCycle! 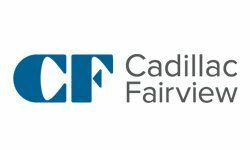 Sponsored by Cadillac Fairview Vancouver Properties and the Downtown Vancouver Business Improvement Association. Stop by to enjoy some Clif Bars, Starbucks coffee, and bike maintenance from Sport Chek Robson. Enter for a chance to win a one year Mobi by Shaw Go pass and a Formo Frame Bag from OnSight Equipment! 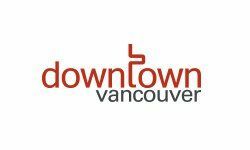 Register your bike for free with Project 529 thanks to the Downtown Vancouver Business Improvement Association! Stop by to enjoy sesame snacks from Hippie Snacks, cookies, and some bike maintenance from Mobi by Shaw Go. Enter for a chance to win two tickets to a show at The Cultch ! Sponsored by the University of British Columbia. Stop by to enjoy snacks, drinks, and bike maintenance from the UBC Bike Kitchen. Enter for a chance to win a $100 gift certificate to Modo! Register your bike here with Project 529, see some bike lock demos from Campus Security, and learn about Dropbike campus bike share. We'll have TransLink's bus-bike-rack on hand for you to practice loading your bike on a bus too! Stop by for snacks, drinks, and bike maintenance from MEC. Enter the draw to win 4x $25 MEC gift certificates! Stop by for snacks, drinks, draw prizes, and bike maintenance. Stop by for free snacks and drinks from Grassroots and the chance to win a fitness track and gift card. Hosted by Landyachtz at 1146 Union St.
Stop by for food courtesy of COBS Bread, coffee from Moja Coffee, and bike maintenance by Obsession: Bikes. You can also enter to win an in-store Bike Tune-up from Obsession: Bikes. 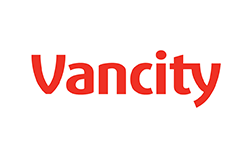 Stop by for free snacks and drinks from Langara College and bike maintenance from VanCycle Mobile Bicycle Shop. Enter here for a chance to win a gift certificate for a Continuing Studies Course at Langara College and an MEC gift card. Stop by for free snacks, drinks, and bike maintenance. Stop by to enjoy some Honey Stinger waffles, drinks, and bike maintenance from Sport Chek Strawberry Hill. Enter to win a $100 gift card to Sport Chek as well! Stop by to enjoy Honey Stinger waffles, sesame snacks from Hippie Snacks, coffee from JJ Bean, and bike maintenance from Tandem Bike Cafe. Enter for a chance to win a year-long pass for Mobi by Shaw Go and a Formo frame bag from OnSight Equipment! Halloween bonus - show up in your costume and take a photo with us to enter the draw for a pannier briefcase from Two Wheel Gear. Stop by to enjoy Honey Stinger waffles, drinks, and bike maintenance from Trek Bicycles Port Coquitlam. Enter for a chance to win a $100 gift card to Sport Chek! We'll also have TransLink's bus-bike-rack for you to practice loading your bike on a bus too! Stop by to enjoy Honey Stinger waffles, sesame snacks from Hippie Snacks and bike maintenance from R.A.D Cycles. Enter for a chance to win an East Van prize pack from Moja Coffee, Luppolo Brewing, and Cartems! 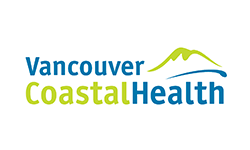 Sponsored by Vancouver Coastal Health. Stop by to enjoy Honey Stinger waffles, sesame snacks from Hippie Snacks, and bike maintenance from North Shore Road Bike. Enter for a chance to win an ABUS folding lock from HLC and Denman Bikes! Stop by for snacks, prizes, and bike maintenance! Community station hosted by BCIT. Stop by for snacks and drinks from the BCIT Student Association, and bike maintenance from the BCIT Technology Teacher Education program. Enter here for the chance to win a $100 MEC Gift Card! Stop by for snacks and drinks from Grassroots Cafe, bike maintenance, and the chance to win a fitness tracker and gift certificates. Join Kit and Ace as we celebrate Bike To Work Week with LIV Vancouver! We have your commute covered with complimentary tune ups, snacks and beverages from a few of our favourite local Vancouver partners and great conversation- always on the house. Each day you will also have a chance to win a pair of Kit and Ace’s bike approved trousers perfect for your commute (valued at $160). Come say hi, we look forward to meeting you! Stop by for free snacks, coffee from Bel Cafe, a draw prize, and bike maintenance services. Stop by to enjoy snacks, Starbucks coffee, and bike maintenance from Krusty's Bicycles. Enter for a chance to win a U-bicycle Gift Package! Stop by to enjoy snacks from Clif Bar and bike maintenance from Sport Chek Strawberry Hill. We'll also have the TransLink bus-bike-rack for you to try out! Enter to win an Abus folding lock from HLC and Denman Bikes! Project 529 bike registration will be available, courtesy of the Surrey RCMP. Sponsored by the City of Coquitlam. Stop by to enjoy snacks, drinks, and some bike maintenance from Kickstand. Enter for a chance to win an ABUS folding lock from HLC and Denman Bikes! We'll have a TransLink bus-bike-rack on hand for you to practice getting your bike on and off of buses too. Stop by to enjoy sesame snacks from Hippie Snacks and some bike maintenance courtesy of Brodie Bicycles. Enter for a chance to win a year-long Mobi by Shaw Go pass and a Formo frame bag from OnSight Equipment! You can also register your bike with Project 529 at this station courtesy of the DVBIA. Stop by to enjoy snacks from Clif Bar and bike maintenance from Steed Cycles. We'll also have the brand new 2018 North Shore Bike Maps on hand. Enter to win an Abus folding lock from HLC and Denman Bikes! Stop by for snacks from Safeway, Starbucks coffee, and bike maintenance from The Original Bike Shop - Cap's Bicycle Shop. Stop by for snacks from Clif Bar, Stoked Oats from Planet Foods, Starbucks coffee, and bike maintenance from the Denman Bike Shop! Enter to win a 365 day pass from Mobi by Shaw Go and an OnSight Equipment Formo frame bag from On The Rivet Cyclewear. Stop by to enjoy sesame snacks from Hippie Snacks, Stoked Oats, coffee from Starbucks, and bike maintenance from The Bike Gallery. Enter to win a $100 gift card to The Pint! We'll also have the TransLink bus-bike-rack on hand for you to practice putting your bike on the bus! Stop by for free snacks from Clif Bar, Stoked Oats, and bike maintenance from Giant Bicycles. We'll also have the TransLink bus-bike-rack available for you to try out. Enter to win a Two Wheel Gear garment pannier! HUB MEMBERSHIPS AVAILABLE HERE: Purchase or renew your HUB Membership at this station and get a free set of bike lights! Sponsored by Lafarge Canada, Evo, Kit and Ace, and Mobi by Shaw Go! Stop by to enjoy snacks from Clif Bar, Hippie Snacks, Stoked Oats from Planet Foods, plus coffee and granola bars from Terra Breads Olympic Village. We'll have Brodie Bicycles on site for some bike maintenance. Enter for a chance to win a full Kit and Ace look valued at over $350 from the bike approved Navigator Collection! 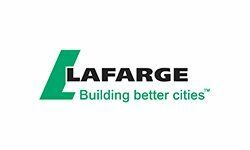 Visit this station to learn from Lafarge Canada about how you can stay safe around large commercial vehicles. We'll also have the TransLink bus-bike-rack available for you to practice loading your bike on a bus! Stop by to enjoy snacks from SPUD and Be Fresh, sesame snacks from Hippie Snacks, coffee from Starbucks, and some basic bike maintenance. Enter for a chance to win a great draw prize too! Stop by for free granola bars, bananas, and coffee from Myodetox. Note there will be no bike maintenance offered at this station. 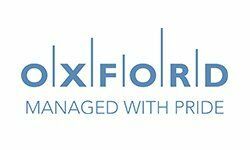 Enter here for a chance to win a complimentary Myodetox session with a physiotherapist, RMT, or chiropractor. Stop by for snacks from Save On Foods, drinks, bike maintenance, and a chance to win a draw prize! Speak to our local commitee to see how you can get involved in improving bike infrastructure in your community. Stop by for snacks, drinks, and to say hello to your local HUB committee!